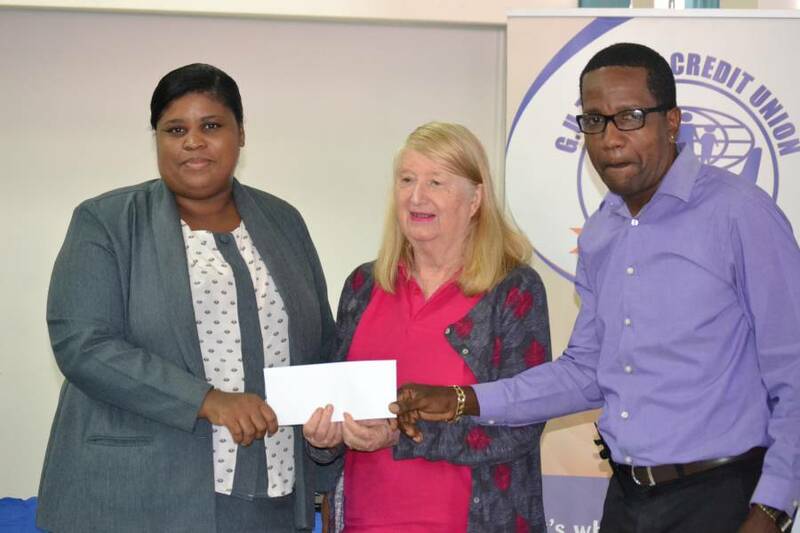 The GUT Cooperative Credit Union Ltd (GUTCU) donated $3,000 to the Grenada National Patients Kidney Foundation (GNPKF) this week to assist patients who are unable to cover the cost of dialysis. The GNPKF was selected as the recipient of proceeds collected after the recently held GUTCU Members’ Market and Fun Day. This event was orchestrated to promote the local businesses of the credit union’s members and to give back to the community. Wayne Redhead, owner of Waggy-T Rentals and Sound and core sponsor of the Members’ Market and Fun Day, commended the credit union on the initiative and pledged his support to turn this inaugural event into an annual one. Ann Hopkin and Heather Sylvester of the GNPKF indicated that the donation would certainly help increase access to patient treatment. Globally, approximately 10% of the world’s population is affected by chronic kidney disease, and millions die each year because they do not have access to affordable treatment. www.kidney.org.